The heavy-duty SOTO, which was just recently introduced, can handle boxes of more than 20 pounds and two feet across. TORU was recently redesigned but is intended for smaller payloads (think shoeboxes). The two robots load multiple target boxes into their internal storage, then navigate to their destinations to drop them off. It’s the kind of thing human warehouse workers tend to get really tired of doing. 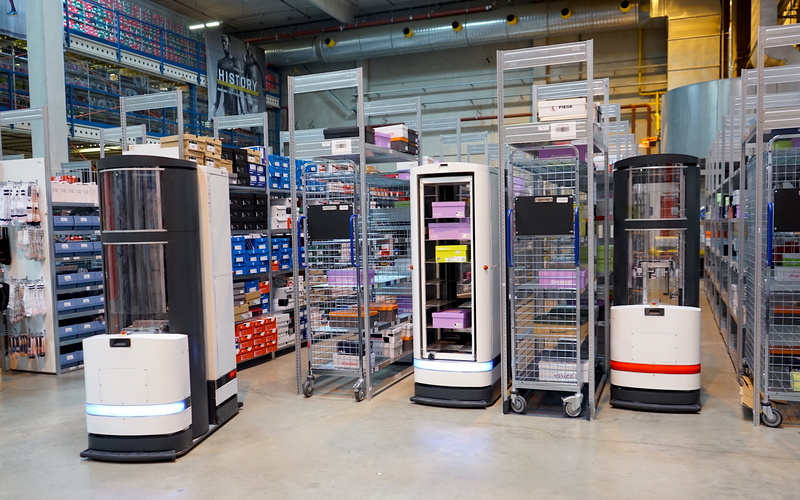 The company was started in 2014, and by 2016 had landed major clients like Fiege, which now uses Magazino robots for some of its warehouse work, and recently ordered 30 more. Fiege also joined Körber, Cellcom and Zalando in the funding round (Körber leading).